Further assessment is needed to determine the efficacy of oral isotretinoin for acne that has not responded to oral antibiotics plus topical agents. 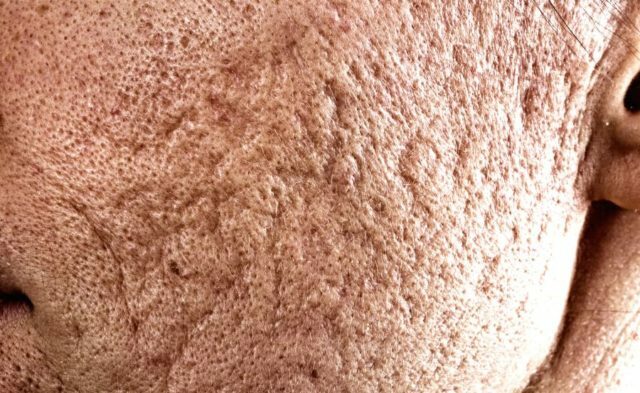 No differences in efficacy were found between oral isotretinoin and oral antibiotics plus topical treatments in clearing inflammatory acne lesions during the therapy phase, according to a study published in Cochrane Database of Systematic Reviews. Investigators collected results from participants (N=3836) with mild to severe acne who had been involved in 31 randomized control trials (RCTs) from multiple databases, including the Cochrane Skin Group Specialized Register, CENTRAL, MEDLINE, Embase, PsycINFO, and LILACS. The RCTs compared isotretinoin with any oral antibiotic plus any topical agent given to participants with moderate or severe acne for between 20 to 24 weeks. The primary end point of this study was the improvement in acne severity assessed by a decrease in total inflammatory lesion count (treatment for at least 16 weeks). The key finding in 3 RCTs (400 total participants) with moderate and severe acne was that oral isotretinoin did not have a greater effect on improving acne severity than any combination of oral antibiotic plus topical agent after 20 to 24 weeks of therapy (risk ratio 1.01; 95% CI, 0.96-1.06; I²=46%). No participants who received oral antibiotics plus topical treatment experienced serious adverse effects. This study was limited by imprecision and attrition bias that reduced the quality of the evidence. Investigators were unable to undertake meta-analysis due to heterogeneity in the studies comparing different regimens, doses, or formulations of oral isotretinoin. Future research should ensure clarity in reported long- and short-term standardized assessment of improvement in total inflammatory lesion counts, participant-reported outcomes, and full safety accounts. Costa CS, Bagatin E, Martimbianco ALC, et al. Oral isotretinoin for acne [published online November 24, 2018]. Cochrane Database Syst Rev. 2018;11:CD009435.